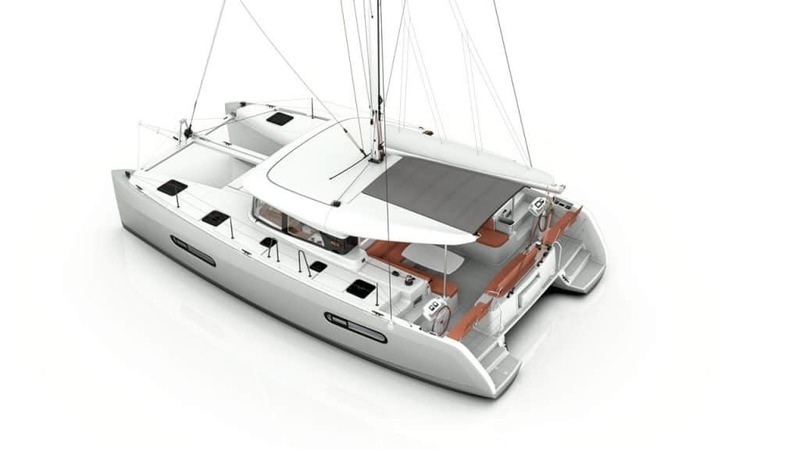 For its first press conference, Excess part of the Beneteau Group was excited to reveal the two first models of its catamarans’ range: ambitious, innovative and adding sportivity to comfort in the industry! 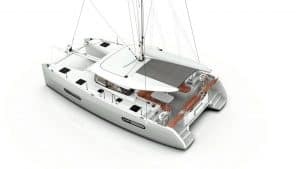 ‘When we started thinking in 2014, we had three major intuitions and findings about the catamaran market: Firstly, the global catamaran demand was increasing at an enormous speed. Secondly, the demand for catamarans was at the same time evolving, getting more mature and segmented. The last but not the least the product offer was still very much concentrated into one area, which is the comfort, and fancy oriented part of the market. Whereas only 10% of the players were covering the demand for Fun Sailing’ explained Lorenza Turrisi, Excess Brand Manager. Bruno Belmont, Excess Creative Product Manager declared: ‘With Excess 12 & 15, we have reinvented the whole sailing experience. The twin helm station aft, the vision & sensations it offers, the rig, the hulls, life on board, the materials. 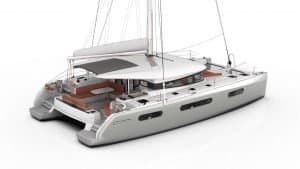 Everything has been designed to match this new way of leaving on the water.’ The first two boats Excess 12 & Excess 15 could be seen in Cannes 2019.